Back in May, Lionsgate announced that it would reboot the Mighty Morphin Power Rangers franchise for an upcoming movie. It's unclear if any of the original Mighty Morphin Power Rangers will reprise their roles for the upcoming movie, but The Huffington Post felt like it was morphin' time and reached out to early cast members to talk about the putty-fighting days. Ahead, 11 stories from the franchise that will make all fans want to blast the theme song and watch a YouTube video of the original rangers shouting, "Dragonzord! Mastodon! Pterodactyl! Triceratops! Saber-Toothed Tiger! Tyrannosaurus!" Now, Go! Go! (read about) Power Rangers! Karan Ashley = Yellow Ranger. 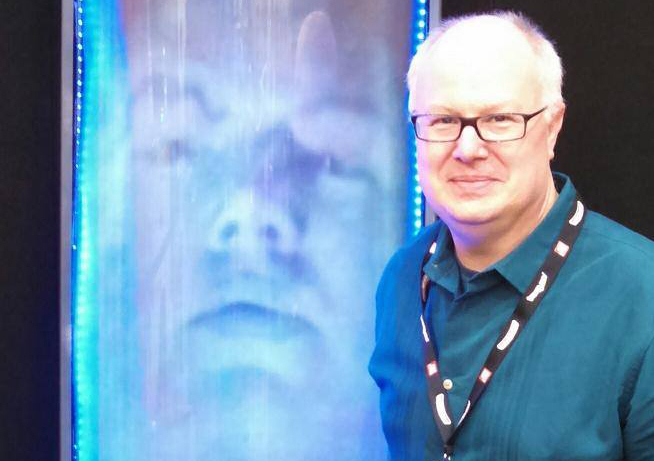 David Fielding = Zordon. Walter Jones = Black Ranger. Austin St. John = Red Ranger. David Yost = Blue Ranger. 1. Austin St. John and Walter Jones lived in a Power Rangers party house together. One kegger even had a helicopter come shut them down. Casts from other popular shows at the time would also make appearances (and apparently an agreement was made long ago to not disclose too much about the craziness that went down in the house), but here is some information on the legendary parties that continued even past the actors' original time with the show. WJ: We had lots of different parties and there were lots of different people. And the parties were memorable: We had pool tables, we had a trampoline, we had a huge Burmese python that was 12-feet long, and we'd just have a good time. I'd come home sometimes and there were 150 people in our house that we didn't know. I'd be like, "Hey, what's going on" and I guess we're having a party. ASJ: Oh man, our parties were always outrageous. At the time we were all single, we were all on the prowl. You know, we had a little bit of fame and we had an amazing house that sat on top of a hill in Glendale, California. It had a 360-degree view of the L.A. area. Pasadena. It was gorgeous. DY: The funniest stories were about Walter's infamous parties. Those were always a good time. It was a frat house. When they'd do parties it was like the party to be at because it was a lot of fun. They know how to throw a good party. ASJ: We had stunt guys there, some of them were professional dancers, like dancing on major tours. Like Janet Jackson. So when we had parties they would call their dancer friends, these girls, again professional dancers. So we always had these smoking hot girls at the house. We always had amazing guys at the house, too, if that's what the other guys were into. We had some parties that were so big. Multiple kegs. Inevitably somebody would call the police and a helicopter would show up and put a spotlight on the backyard where we had a volleyball net. A big trampoline. A cop would come knock on the door, "Excuse me, could you guys keep it down." That was just business as usual. KA: Well, they would have a party what seemed like every month. And the funny thing was I didn't know them because they were off the show by the time I got there. So we'd meet briefly, but they had some great parties. Their house was like just the place to be. I met a lot of friends through that house. 2. The Power Rangers were paid as much as someone who "worked the window at McDonalds." The original cast often talks about the long hours and little pay that was given to the actors. In a previous interview, Austin St. John said that production company Saban Entertainment's idea of treating the actors well was just providing a good food spread. It seemed that even getting Christmas off was unclear, and St. John once called surviving these working conditions "Power Ranger Stress Disorder." They were all grateful to have the job, but it was far from easy. WJ: To be working on a television show and have a regular job, doing 40 episodes a season, that's not something to sneeze at. But when the show is making billions of dollars, when they made about a billion dollars in the first year off of merchandising, and when we have toys and parks and video games and comic books and all these things with our likeness, it starts to come into reason that this should be at least union, so it'll be fair. ASJ: We weren't paid a lot, at all. I could have worked the window at McDonalds and probably made the same money the first season. It was disappointing, it was frustrating, it made a lot of us angry. [Haim Saban] just had absolutely zero conscience about making billions using our faces because it was his idea and he owned it. He felt like, screw us. I don't want to put works in his mouth but he could not have cared less about making all this money, because he had this ownership. The hell with everybody else who was helping him make that money. That's the way it's always been. WJ: Right before the film they decided that we would receive contracts. They were not great contracts. They were all non-union, and for a number of films and another 40 episodes, they just weren't suitable. I figured after two seasons we deserved to be a union show and the conversation basically went that we should all get together and talk to representation and have someone represent us for these contracts as group. And that didn't work out. So three of us ended up negotiating and three of us stayed. And eventually what happened is that we just negotiated out of the contracts and moved on. KA: We worked so much we didn't have time to hang out. When we first got on the show we were doing six days a week, 12 to 15 hour days. So, you had a Sunday. You missed quite a bit of your life just trying to keep up with the production schedule and keep up with the things we had to fulfill in our contracts. I remember I'd go to set and it'd be dark, I'd leave set and it was dark. You were like a machine. You just kept pushing through. I've never worked that hard in my life. it was like the good the bad and the ugly, we kind of got it all. ASJ: We had a lot of fun. We worked around the damn clock. We worked long, long hard hours on a non-union show. And we'll just never be paid what we should have been paid. And Saban is never going to have a problem about paying us. It is what it is. 3. Austin St. John had to live in his Jeep after he left. Immediately following the show, the actors weren't left with much to live off. St. John, in particular, had a rough time. But for what it's worth, the actors do feel like it was a worthwhile learning experience. ASJ: There was a period where I did OK, while I was doing appearances. But once the appearances were over, I pretty much hit rock bottom. That's when I met the starving actor thing. I had a huge success, at least industry success, but was never paid for it. Then I had to figure out what I wanted to be when I grew up. I had learned some hard life lessons. I ended up sleeping out of my jeep for awhile with my dog. We found some spots in the Arizona desert while I was bouncing at the time, just bouncing, teaching martial arts. I was sleeping in a riverbed for awhile until a friend of mine took me in and helped me out. Then I slowly had to learn how to be an adult and grow up and handle my responsibilities. Definitely a hard lesson. It was good for me. I hated it at the time, but it was good for me, in retrospect. 4. The Power Rangers would prank each other all the time while on set. Being a group of young actors forced to hang around each other all day, they'd often try and cut loose and joke around. 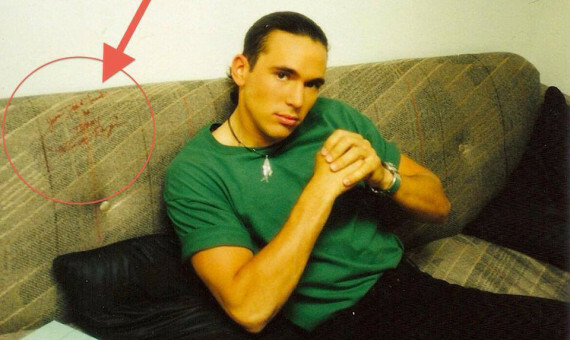 Jason David Green, the green Power Ranger, was a particularly big prankster on set, tricking David Yost into eating a fly in a sandwich, drawing on Yost's trailer couch and breaking a brush over his head. Walter Jones and Austin St. John's pranks were often more testosterone-fueled. DY: Well Jason, he and I were like best friends. He had two kids and I often babysat both of his boys so he and his wife could go off and have date night. So, I considered myself their godfather on some level. We were really close and he would prank me all the time. Some of his pranks, they seem extreme, but they are funny. In terms of pranking him back, I don't think I ever did. But he was often the jokester on set for sure. ASJ: I was definitely the youngest, so I had some foolish teenager moments where I'd be pulling shenanigans. There might have been times i was making noise off set to try and distract them while they were shooting. Other times I'd do something foolish like throw a carrot over the top of the wall into where I knew they were actively shooting and I was just waiting to see what i could disrupt. Walter and I, we pranked one our production assistants by the name of Nick Kellis a lot. We were always getting at one other, somehow somewhere, cracking jokes or beating each other up in the hallway, playfully of course. It was never sinister. It was just a big family so there was a lot of that stuff going on. WJ: Nick Kellis was a PA that worked on the show. He was just a poor guy trying to do his job coming to get us to take us to the set, and Austin and I would attack him in the hallway. Not to hurt him, just playing. And he was an amazing wrestler, this guy, so there was just a lot of testosterone on the set. We'd just be like punching and little kicks, just tapping, nothing that was going to hurt anybody. He knew anytime he came to pick us up, it was coming. And it became a fun part of our day. Nick was a good sport for always playing a long with it, in fact we're all really good friends to this day. 5. 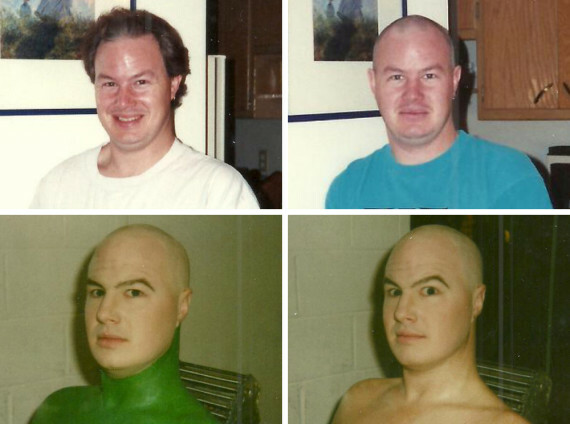 The process to audition for "Power Rangers" was absolutely crazy. To cast "Power Rangers," Saban held large, open casting calls where thousands of hopeful actors showed up. Members of the winning cast even just showed up on a lark, with Austin St. John, in particular, attending the audition on a dare from a friend. Eventually the actors were whittled down until a few different teams of Power Rangers auditioned against each other. Notably the Black Ranger could have been a "Michael Jackson" type. Moonwalking around putties could have been a possibility. Zordon could have had a crazier voice, although David Fielding's audition was just him versus one other actor. The cast that won originally had a different Yellow Ranger, with actress Audrey Dubois winning the role that would eventually go to Thuy Trang. When Trang left the show along with St. John and Walter Jones, Saban had another huge casting call where they found Karan Ashley. KA: When I was first auditioning I didn't know much about it. My friend was telling me you got to go audition, so I show up and there are thousands of people at this open call audition. And of course with that, I had to wait in line for quite a few hours. So luckily for me there was a guy who knew all things Power Rangers in line a couple spaces a head of me. And he just basically was so geeked to be there, I just sat and listened to him all day talk about the show. So it gave me a good idea of what the show was. DF: I had assumed it was going to be just another cattle call like everything else where you go and stand in a line with 500 guys, read a couple lines and then go home and never hear anything. And when I got to the offices of Saban in Burbank, California, I went up to the floor where they were having the audition and it was just me and this other guy in the waiting room. I thought, "Well, this is strange." We got the lines and kind of went to our separate corners and read them. He went in first and did his thing. About 20 to 25 minutes later, he came out and I went in and they had all the original cast and the director and the producers. They had me stand on a table and read the lines. After I had gotten through the lines about handing the kids their powers and stuff, I remember Austin just turning to everybody and going, "I think we found our Zordon." Well, at the time the character was called Zoltar. Then I went home and like an hour and a half later I got a phone call saying I got the part. And how was standing on that table? DF: It wasn't awkward. It kind of made sense to me because I got the impression from reading the character description that he was supposed to be a larger than life figure and a mentor to these kids. When I was in the other room going over the lines and overheard the other gentleman practicing his take on the voice, it was crazier than mine. The one that I used, that ended up being used in the show, was much more of a deeper tone. The idea that I had in my head at the time was that he was a very Zeus-like figure, but in a kindly way, not in a vengeful, god-like way. Somebody that was going to be nurturing for these new superheroes. 6. All of Zordon's footage was shot in one day over just a few hours. DF: For budgetary reasons they never filmed the character again. They just reused the footage over and over. And from a production standpoint, that is great. From an actor's standpoint ... They shaved all my hair off and glued my ears back. And used makeup to make my eyebrows stand out, and then painted the top half of my chest and shoulders green. I sat in front of a green screen while they filmed me because they were just going to use my head and that was it. My recollection is that I was in the chair for three or four hours. Just going over the lines, doing it a number of times and also doing a number of pickups where they would just film my reactions: turning of the head, looking this way, or looking down. And if you watch the character in the show, his movements and his actions seem to be really sort of out of synch with everything. I guess that was sort of their idea -- because the character was trapped in a time warp, in a time bubble, he was trying to communicate with everybody as best as he could. Top Images: Courtesy of David Fielding. Middle Image: Austin St. John Facebook. 7. The Power Rangers would occasionally go to dance clubs after long days on set. Walter Jones was the best dancer. 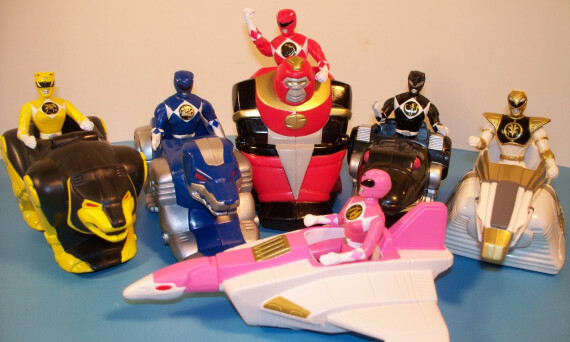 Although multiple Power Rangers talked about how exhausted they would be after filming all day and would often have to simply reset at home by watching television and falling asleep, occasionally the cast would go out on the town together. DY: The first season we'd go out to bars after work on Fridays. Or we'd get dinner on Saturday nights and hang out at whatever the popular dance club was. Walter, hands down, is the best dancer, because he was a professional dancer. Karan could dance, too. I'd probably come in third out of everybody as best dancer. WJ: If there was dancing to be had, I was probably the best dancer in the group. It's something that I've always done and a passion of mine. 8. Many of the Power Rangers were actually into martial arts and would create their own moves for fight scenes. All of the actors were chosen for their Power Ranger roles because Saban thought they would be able to fight adequately on screen with little direction. Austin St. John, Jason David Frank and Walter Jones had martial arts backgrounds. To save money, many of the scenes were filmed quickly, which led to little notes as far as fighting and allowed the actors to kind of do their own thing. Walter Jones was given the direction to create a "hip-hop kido" from Saban, but what that meant day to day was mostly up to him. WJ: It was [Saban's] idea of hip-hop combined with martial arts and dancing. It was something I had to go put some thought to and figure out why I was doing what I was doing and how it would be most effective. Taking a break-dance swipe move -- where you go and you do a flip towards the ground and use your feet to sweep the ground and the air -- is a way to effectively kick two or three people and come to the ground and sweep them. But I'd have to come up with how would this work and how would it be applied. That was one of the funnest parts of the job for me, coming up with new ways to dance and fight at the same time. The Power Rangers really didn't have much time to figure these fight sequences out. WJ: It wasn't like a film production where you get two weeks to do a fight and it's choreographed properly. It was like, "OK, so in the script today, you're going to be fighting in the park. Hey, how about you fight on this park bench, can you come up with something?" And so I got 15 minutes, 20 minutes, a half hour, to figure out what I wanted to do. They give me a couple putties. So I put a putty here and I'll do this and he can swing at me and I'll jump down on the seat and do a spin, come back up and punch him. Drop him off, go back up, play like king of the mountain and have another putty come. I'll jump over him, I'll flip over this guy. It was all really improvised and choreographed spontaneously. 9. Why did Zordon want "teenagers with attitude?" Besides being good fighters, according to the opening sequence, the Power Rangers were supposed to be "teenagers with attitude" as well as "overbearing and over emotional humans." David Fielding explained why he felt Zordon wanted these particular types of people to be chosen for the Power Rangers. DF: In the opening sequence [the line is something like] "Alpha, teleport to us teenagers with attitude." Then in the actual lines of the show it becomes, "Send me several overbearing and over emotional humans." So he doesn't actually call them teenagers in the lines of the show. But I enjoyed the "teenagers with attitude." It kind of serves as a dual purpose. On one hand, every teenager has an attitude, because they're teenagers; on the other, I think what Zordon was talking about was that he wanted specific personalities to serve as the superheroes. They would be not only capable, but also wouldn't back down. And I think that's an important message for young kids and teenagers: to have somebody who believes in you, and who sees that your attitude can be a strength rather than just something that gets in your way. I think that's what it meant. Image Left & Center: David Yost Facebook. Image Right: Austin St. John Facebook. 10. David Yost was called homophobic slurs on set causing him to eventually quit the show and join a "pray the gay away" program. 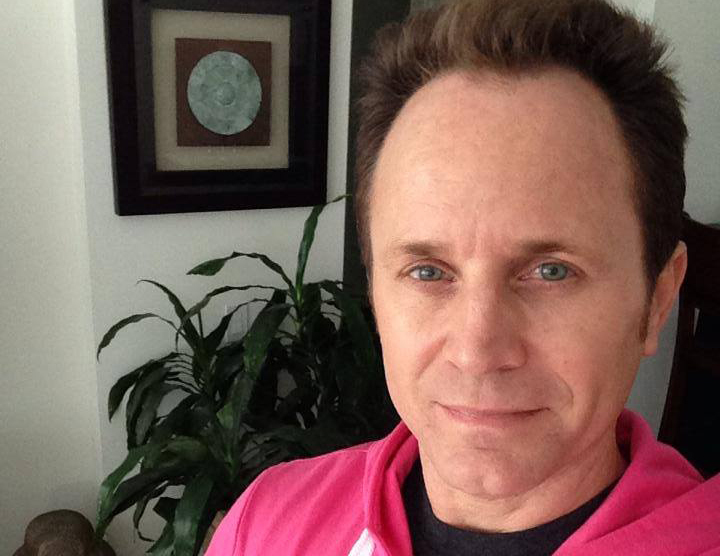 David Yost has said that he only missed one day on set over the seasons, but he eventually walked off the show due to years of apparent homophobia from producers and the crew. Eventually, unbeknownst to the other Power Rangers and his close friends, Yost entered a "pray the gay away" program and then checked himself into a hospital. DY: I was struggling with my sexuality for the majority of my life up to that point. People would say things and there were rumors about my sexuality on set. Or people would make up lies about things I was doing and it would just become upsetting. Because I just wanted to go to work and do my job. I didn't think it was anybody's business what I was doing in my personal life. I can honestly say I wasn't doing anything in my personal life. I wasn't dating anybody or any of that. I do know that a couple of my co-stars were questioned about my sexuality at one point and that was really upsetting to me. Yost initially tried a religious therapy, but eventually accepted himself. DY: I had just come to a point where I wasn't in a good place mentally. I just thought it was best that I walk away from the show, because I didn't want to be in an environment anymore that was adding to my stress and adding to me not liking myself. So I left the show and I did try several things to correct being gay, if you will. I tried therapy and that was very unsuccessful and it caused me a lot of emotional stress, more emotional stress than I already had. I ended up having a nervous breakdown and had to check into the hospital for five weeks. After that I started getting my head back together and accepting myself for who I was. Accepting that I was a gay man and that was OK.
11. For the most part, the Power Rangers were there for each other and had each other's backs. All the Power Rangers I spoke to had fond memories of their cast mates. This was an experience they were happy to get through with each other. Austin St. John and Walter Jones lived in a house together, but they've also said that Jones was sort of a big brother to St. John on the set, and the two would look out for each other if either were acting too foolish. What kinds of foolish things would they get up to? ASJ: You know, silly stuff, we would just go out and have a couple beers and just be ridiculous. Insanity. Crack jokes, a lot of times at our own expense. Just everybody laughing and having a good time. Sometimes, one of us would get a little too carried away and the other one would be like, "Hey, we should probably reel this in for just a hot second..."
WJ: When he came into the house [St. John] was just turning 18, so he was really young and not experienced and hadn't really acted before. It was kind of a fluke that he got it because i think he came into the audition on a dare. So there was a lot for him to learn and i was a little older than him so i watched his back but he also watched my back. So if either one of us were out of line or just doing a thing that somebody needed to speak about, then we'd take each other to the side. BONUS: What're they up to? Karan Ashley has been interviewing people in a series called "Uncensored Talk" and told HuffPost that a video with George Takei is coming soon. What inspired the project? Ashley said, "Luckily for me, I'm meeting all these amazing people at each convention and I'm like, why am I not talking to them." Random Fact From Interview: "I hoard Aisha barbie dolls." David Fielding just released a novella with Book Cool Beans P&E called "Buddy Holly and the Cold, Cold, Ground," which he described as a "paranormal ghost story." Fielding also recently published a couple stories with Source Point Press. Random Fact From Interview: Fielding recorded lines for Zordon at the same time and in same studio as the cast for "Star Trek: The Next Generation." Walter Jones has continued regularly acting both on screen and as voice work. He also teaches salsa dancing classes in California. Random Fact From Interview: After being invited to celebrate the 40th anniversary of the king of Nigeria's reign with other celebrities, the king "gave [them] honorary chieftaincy." 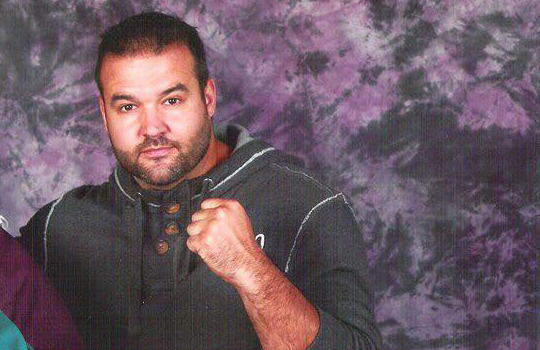 Austin St. John recently returned from working almost four years in Kuwait as a medic. Before that he'd worked as an EMT and fireman in the Washington D.C. area. 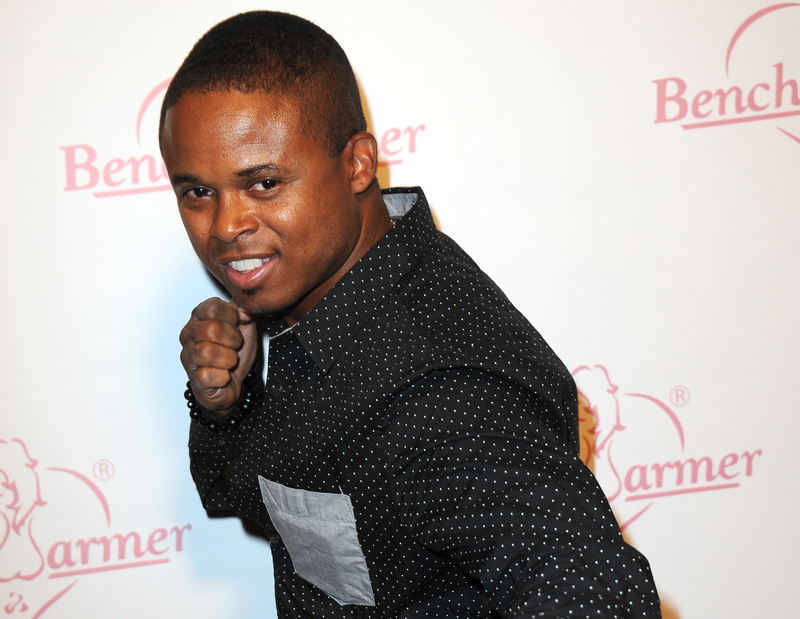 Lately, he's been re-embracing his connection with the Power Rangers "family." Random Fact From Interview: On "rare occasions" people he would save as an EMT would ask him if he was Jason and ask, "Holy crap, were you the Red Ranger?" David Yost has transitioned into producing and was notably a segment producer for "The Real Housewives of Beverly Hills." He has also been a proponent of the NOH8 Campaign. Random Fact From Interview: Despite his character, Billy Cranston, being named after the "Breaking Bad" actor, Bryan Cranston, who provided voices for the show, the two only crossed paths one or twice in the recording studio. The Huffington Post was able to set up these interviews through Galactic Productions who represent many of the early cast members and manage their convention appearances. Original Power Rangers not spoken to are not members of Galactic Productions. All cast members spoken to are part of the original Mighty Morphin Power Rangers, however Karan Ashley joined the cast after the first season. The original Yellow Power Ranger, Thuy Trang, died in a car accident in 2001. "After" images in order from Getty, David J. Fielding Facebook, Getty, Austin St. John Facebook, and David Yost Facebook. Top animation by Eva Hill.